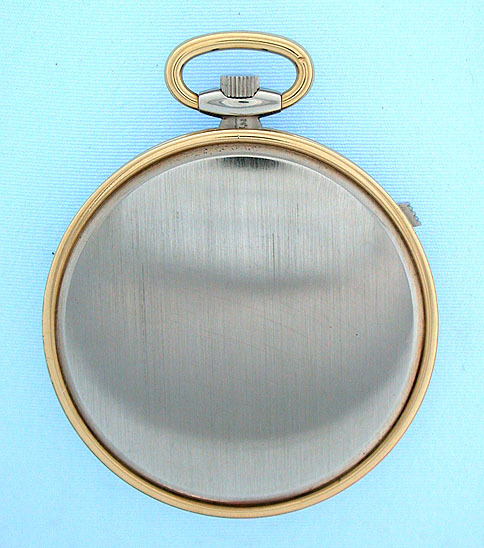 Fine and rare 18K gold bras en l'air (arms in the air) antique pocket watch by Charlton & Co, Switzerland and Verger, France, circa 1930. 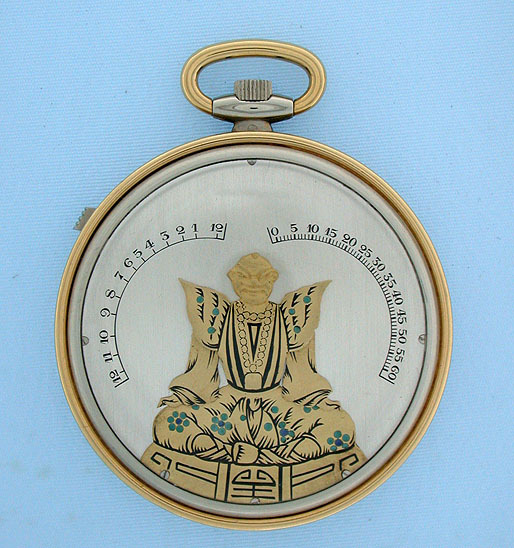 Silver dial with indications for hours on the left and minutes on the right centered by a golden Asian gentlemen decorated with black and blue enamel. When a button in the band is pressed the gentleman's arms point to the current time. 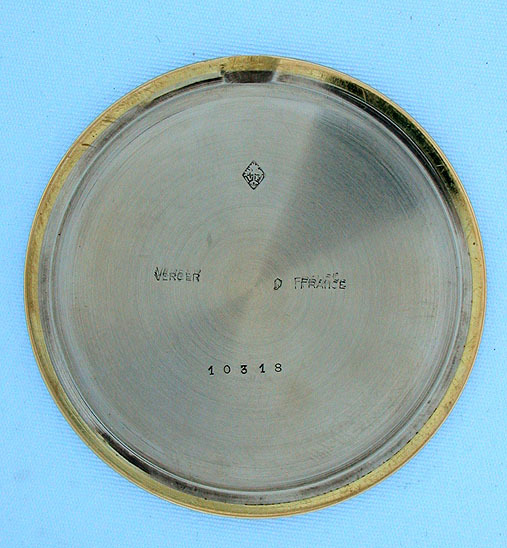 The slim case made of yellow and white 18K gold with coin milled band. 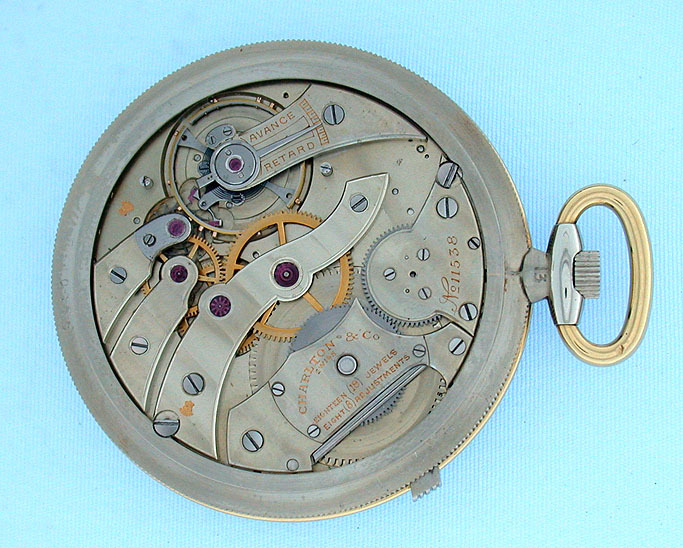 High grade slim 18 jewel 8 adjustment movement with 2 Geneva seals. 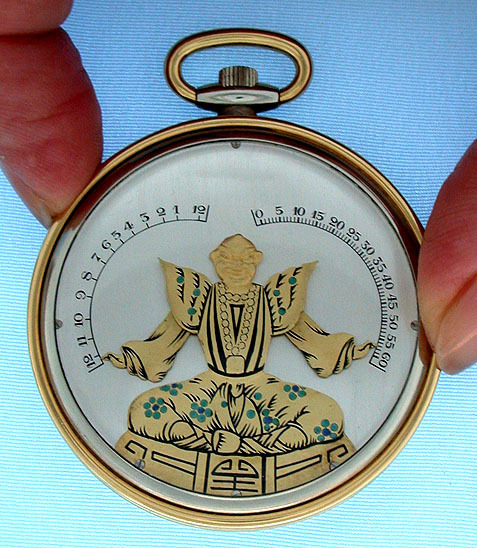 A wonderful example of a rare watch in particularly fine condition.